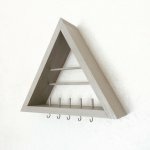 Handcrafted Triangle Wooden Jewelry Holder. A decorative and functional way to display your favorite jewelry collection!Display consists of 2 earring rods, 3 ring rods, 6 necklace/bracelet hooks and shelf room to display more jewelry. 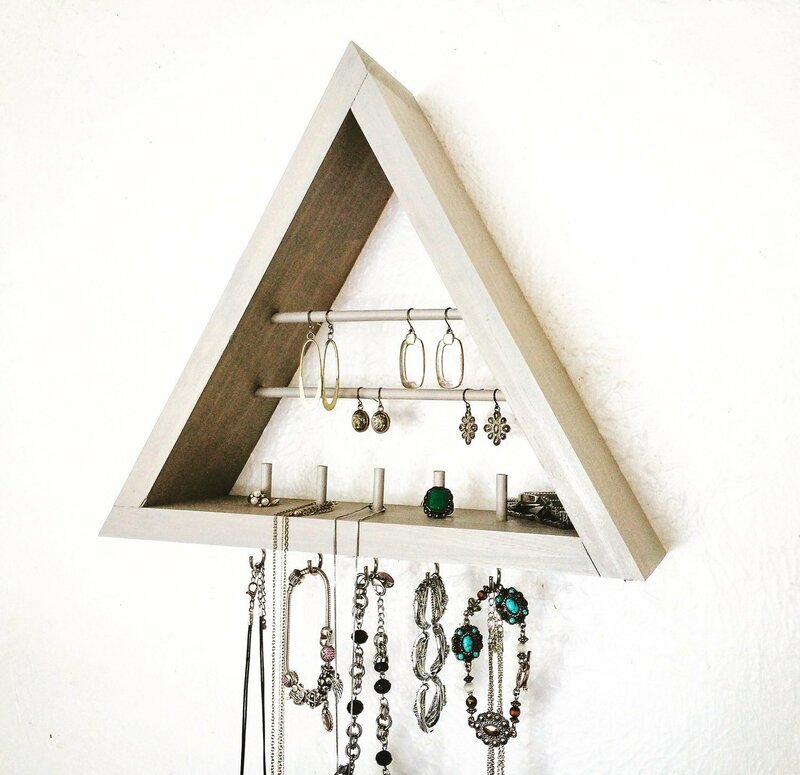 Each side of the triangle is approximately 12"L and 3.5"D. Display can hold approximately up to 20 earrings, 12 rings, 5-15 necklaces depending how you choose to display them, shelf can hold additional jewelry such as watches, bracelets, etc. Unit is made from Pine, Rods are made from Oak. The back is left unstained to prevent scuffs to wall.